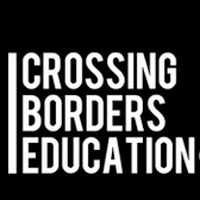 Crossing Borders Education resources for intercultural and interracial dialogue are available for faculty, staff and student use throughout the Webster network. With a strong focus on skill building through supporting and facilitating dialogue across difference, the three films in the Crossing Borders Trilogy open up lines of communication, demonstrate the power of listening and learning, and follow the experiences of diverse groups of college students as they live, travel and connect with one another. Our two-year license includes screening rights for the three films, facilitator manuals, and online toolkits available now in the Webster University Library Catalog and through the Crossing Borders Education website. The MCISA is available to consult with faculty and staff on models for curricular and cocurricular implementation to support a culture of dialogue on diversity on campus. Please contact Bethany Keller, assistant director, Multicultural Center and International Student Affairs (MCISA) at bethanys@webster.edu for more information. Click here to view photos from the Crossing Borders conference in May.